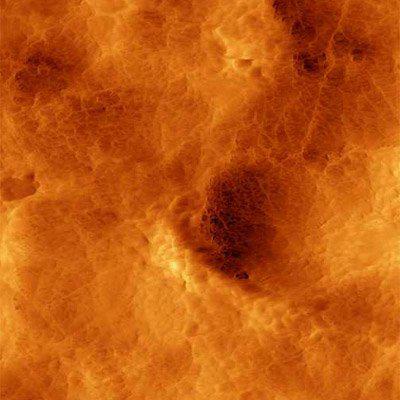 AFM amplitude image of ?smooth? surface of human tooth enamel. Image was taken in aqueous solution (PBS buffer), 8 µm scan. Courtesy of L. Shlyakhtenko, University of Nebraska Medical Center.